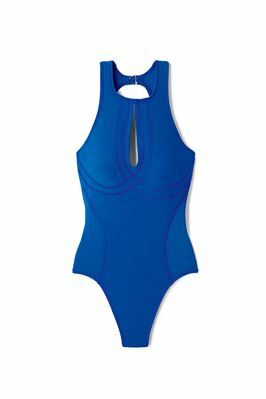 One piece v-neck features flat-lock stitching at bust and sides to hug curves without underwire, hardware, or uncomfortable elements. Offers thick x-back straps for added bust support and an open low back. 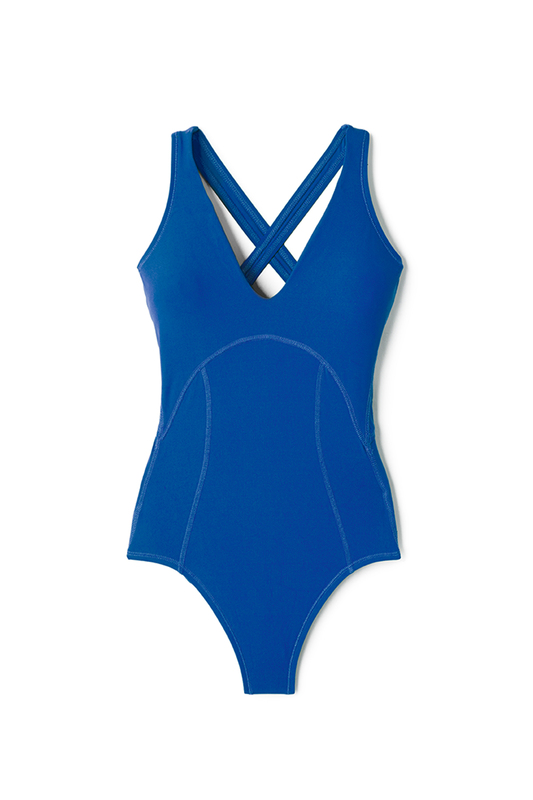 Made with quick drying and supportive 4-way stretch fabric that offers UV 50+ protection. Lightly lined. Works well for all cup sizes. Please refer to size chart for your best fit. 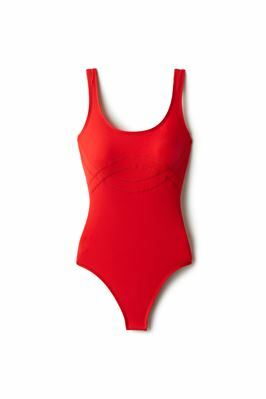 EBW is a collection of timeless, modern swimwear essentials for the chic, confident, stylish woman. The collection is characterized by a proprietary Italian fabric with a luxurious hand feel and superior fit, wear and comfort. Our designs showcase Everything But Water’s unique understanding of what fits and flatters a woman best — learned from over 30 years of providing an unparalleled swimwear shopping experience.